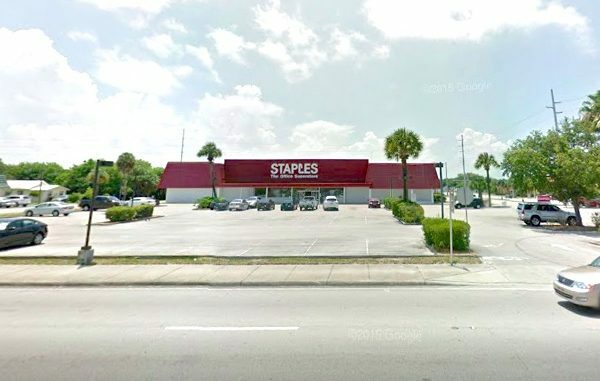 VERO BEACH – 2 suspicious people dressed as clowns were seen standing near a dumpster behind the Staples Store located at 1191 U.S. Highway One in Vero Beach. The suspects allegedly fled the scene before police arrived. It’s the latest incident in a string of ‘Creepy Clown’ sightings that have captured the nation’s attention. Sightings have been reported from Kentucky to Florida. Earlier this month the Indian River County Sheriff’s Office received a number of calls about clown sightings in Sebastian and Vero Beach. The Brevard County Sheriff’s Office received five calls about sightings in Palm Bay and Melbourne, Florida. A woman walking her dog in Vero Lake Estates, west of Sebastian, observed a person wearing a clown costume peeking behind a tree near her home. She lost sight of the clown when she ran back into her house. There was another report of a man dressed in a full clown suit chasing after children at a local bus stop in Sebastian, near Vero Lake Estates. The caller told police that their child was terrified. Police are very concerned about the sightings. Some people could mistake a clown as a potential robber suspect. Authorities say that it’s a very dangerous situation for people and the pranksters who are dressing in the clown suits. Several stores including Target are no longer selling clown costumes because of the reported incidents that have terrorized parts of Florida and the United States in recent months.